Harrison is so smart. 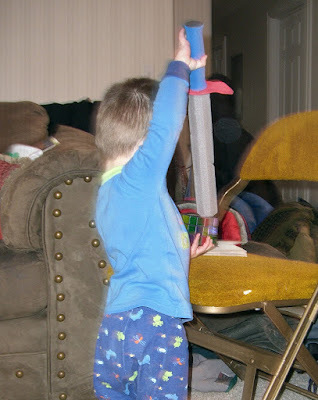 He couldn't solve that blasted Rubiks Cube, so he decided to have a go at with the sword. Good Job!